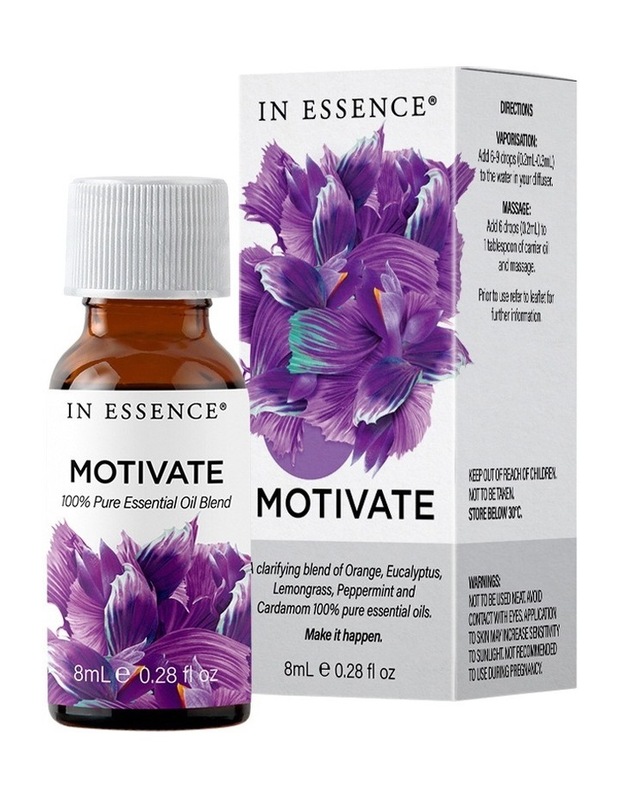 A blend of orange, eucalyptus, lemongrass, peppermint and cardamom pure essential oils to inspire and stimulate blended to inspire and stimulate. Focus your thoughts with this clarifying blend of orange, eucalyptus, lemongrass, peppermint, and cardamom pure essential oils. Dont hold back, go forth and conquer. Make it happen. Not tested on animals. Vaporisation: add 6-9 drops (0.2ml-0.3ml) to the water in your diffuser. Massage: add 6 drops to (0.2ml) 1 table spoon of carrier oil.